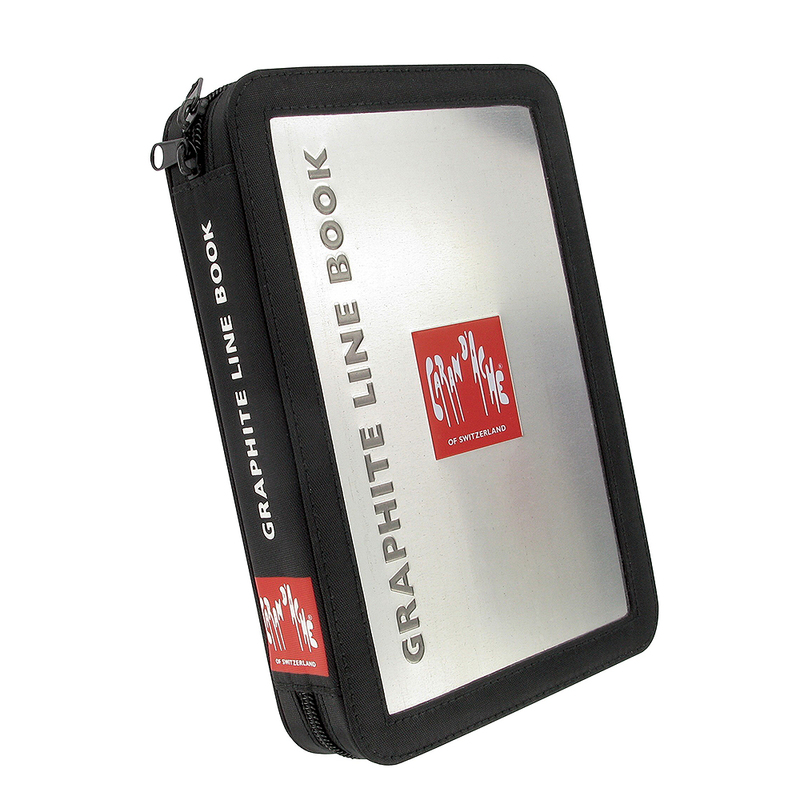 The Graphite Line by Caran d'Ache is for specialists, a range of blacks from hardest to softest. Each pencil is varnished in a colour that precisely depicts the hardness and depth of the black. 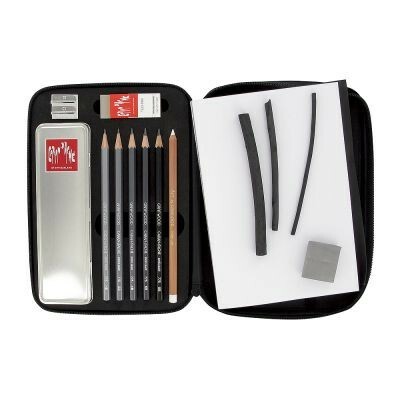 9B - 3B: Extra fine graphite pencils to allow uniform shading of large areas and a regular, intense stroke. 2B - H: Extra-fine graphite pencils for hatching and superimposing. 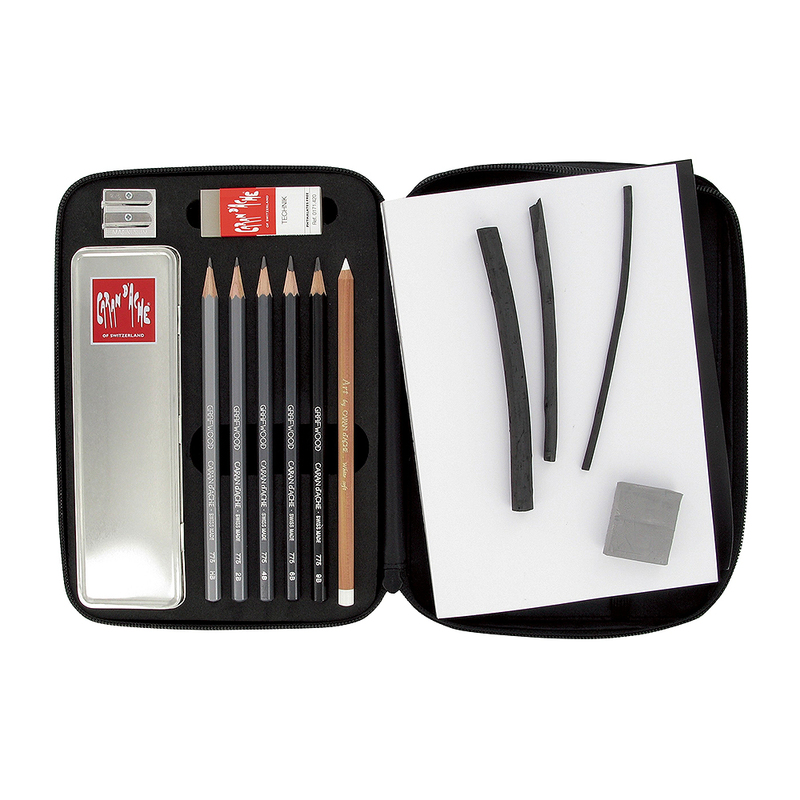 2H - 4H: Extra-fine graphite pencils for intense, regular, fine and extra fine lines (technical drawing, scientific illustration, etc).